The sun is at its zenith. Clouds of mosquitoes hover around An Nguyen’s head, but none of that distracts him from what’s on the ground before him, a hoof print of a large antlered muntjac—a species of muntjac or barking deer—partially hidden under a bed of rotting leaves. An clears away the leaves and take a few photographs of the area, then records his observations. As a wildlife conservationist focused on protecting mammals that live in the Annamite mountains—a rugged mountain range on the border between Vietnam and Laos—An has spent a lot of time in this region studying elusive species such as the large antlered muntjac, the Owston’s civet, the silver-backed chevrotain, and the Annamite striped rabbit. These animals do not exist anywhere else on Earth; An fears if he does not try to save them, they too will disappear, like many of the iconic animals that once thrived in Vietnam’s forests—such as tigers, leopards, and rhinos—but are either dwindling or extinct today. Besides being an advocate and a fierce protector of wildlife, An is also a 2018 WCN Scholarship recipient, one among 14 scholars from around the world who have been awarded funding to pursue their graduate studies in wildlife conservation. An aims to complete his PhD at the Leibniz Institute for Zoo and Wildlife Research, and with the skills gained from the course, implement biodiversity surveys in priority Annamite areas—places where wildlife tend to frequent the most–so he can then share practical recommendations with conservation stakeholders, like the government and local policy makers, on how to better protect this region and its wildlife. 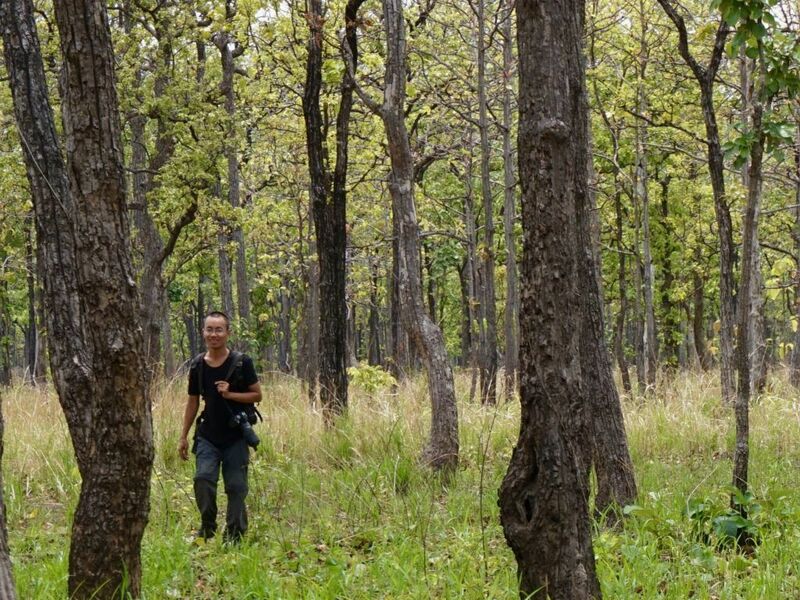 In addition, he aims to strengthen ties with other scientists and conservationists working on endangered mammals in the Annamite mountains, and continue mentoring young conservationists so they may one day take up the mantle to the safeguard Vietnam’s wildlife.